**Taut, authentically vintage wave funk from Group Rhoda and her pal, Max. If you wanted hear Group Rhoda go darker, this is it…Recommended! 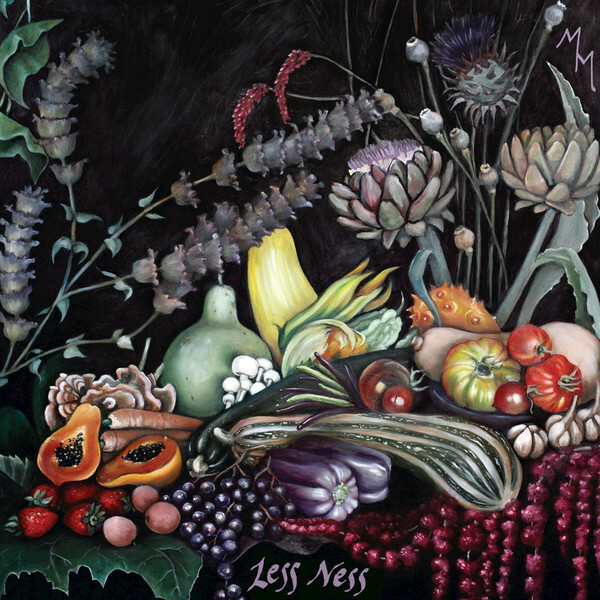 ** "Dark Entires is excited to introduce the debut album “Less Ness” from contemporary Bay Area duo, Max and Mara. Their collaboration began in 2012. Max is based in Oakland and has been a part of various projects most notably Brotman and Short and his current solo work as Business Etiquette. Mara is based in San Francisco and is known for her solo work as Group Rhoda. On “Less Ness” they worked with a hardware set up: 808 and Elektron drum machine, Moog, MAM, and Sequential Circuits synth with splashes of Mono/Poly and collage elements, vocoder lines and dubbed out vocals. They step away from the the computer as much as possible and prefer that their ideas can be traced back to the tools so that a sense of physicality remains. They find inspiration from all kinds of far out sounds, most notably dub, industrial, and various drug culture tangents. Lyrically the songs revolve around topics such as escapism, looking though cultural windows, and character role development. Some songs are a bit more surrealist in content with elements of hard realism and critical commentary. All songs have been mastered for vinyl by George Horn at Fantasy Studios in Berkeley. 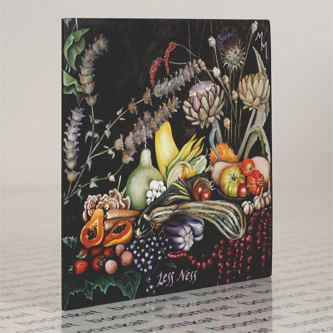 Each LP is housed in a jacket featuring a painting by Shana Why. Prepare to turn your gaze to the things in front of you and away from screen generated culture and its mimicry of social participation."